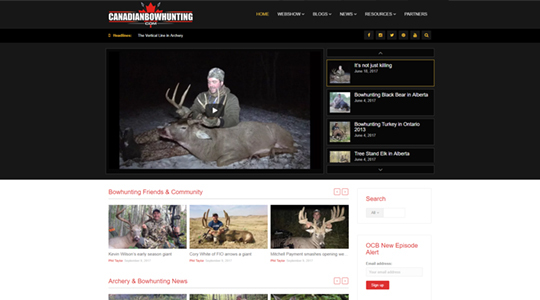 While we aren’t hunters ourselves, we do have an appreciation for professional hunters who advocate for animal conservation and ethical hunting practices, and the bow-savvy guys at CanadianBowHunting.com and Orion’s Choice Bowhunting are just those hunters. 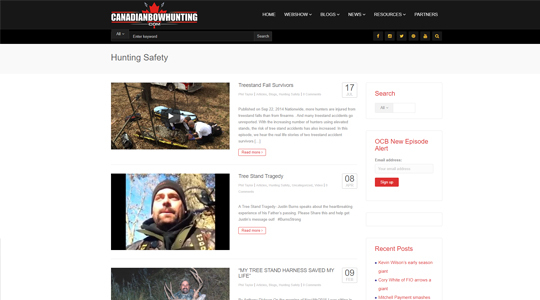 To get their message of hunting professionalism out to a broader audience, entrepreneurs Phil Taylor and Alan Muzzin began producing an incredibly high-quality webisode series, and they hired our stalwart team of web designers to construct a fast website capable of effective sponsor advertising, delivering their webisodes without interruption, and of course putting emphasis on a trusted brand. UPDATE (Jan 2019) The website has been deactivated after a strong five years running. The owners have moved on to other exciting ventures but the legacy of the information and resources they provided to professional hunters across North America will live on. Sponsor logo visibility is obviously important where the business website or the business itself is dependent on the capital investment of sponsors, without being too obtrusive on the overall layout of course. We also needed to ensure a secure back-end administrative access and post moderation for incoming user-submitted posts. 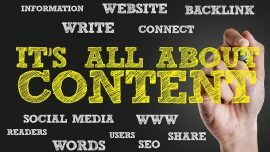 With any website, content is king, so it was really important from the beginning that sufficient content existed to keep first-time viewers amply entertained and informed, and coming back for more. 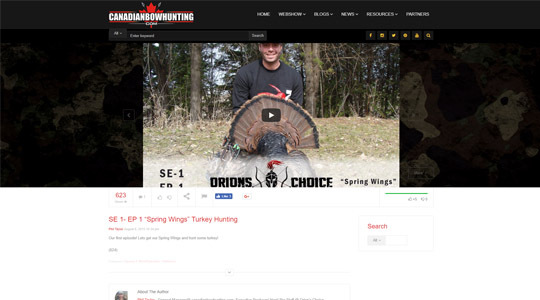 This was easily accomplished with the initial video library and between CanadianBowHunting.com, Orion’s Choice Bowhunters, and their swiftly-expanding fan-base, the video content and article post content keeps flowing, ensuring that visitors are treated with new and original niche content every time. Pure website gold. Video content access makes up a significant portion of internet traffic, estimated to breach 80% by 2019. The popularity of video for use in advertising and marketing has seen a dramatic increase in the past decade as well, with an estimated $7.77 Billion spent on video advertising in 2015 alone, and that number was predicted to double within 4 years…. it’s already exceeding expectations. The reason for the rapid growth of video advertising and content creation for video advertising has been its effectiveness. If a picture is worth a thousand words, a video is worth a thousand times more. Great video production no longer requires a six-figure income, and the lower cost is making video advertising and the creation of original content that much more accessible. Video content can benefit search engine optimization (SEO) greatly, and analytics can provide incredible insights into demographic behavior that can help steer a business or marketing strategy on the correct course to success. 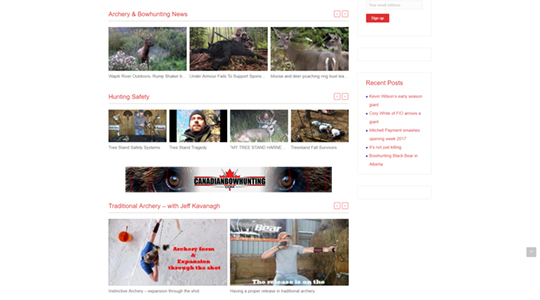 Similar to embedded video, an Embedded YouTube channel allows a website to pull in organized channel content directly from YouTube. Great for applications that require a vast amount of video, or for business ventures and marketers that wield YouTube as a primary platform, and a website as a secondary medium for reaching the audience. Keeping a video-heavy or graphically-intense website moving at speeds acceptable to today’s quick attention span can often be problematic. Our team utilizes the best technology in data compression and content-delivery services with MaxCDN (https://www.maxcdn.com) to ensure website content display is smooth, and that downloads and other file resources reach their destinations efficiently. This can mean the difference between a customer getting what they need quickly, and a customer getting frustrated and leaving your website for the competition.